The HPSI increased 3.3 points to 86.5 in July, reaching a new all-time survey high. Each of the six HPSI components increased in July. The largest increases were seen in the net share of consumers who expect home prices to go up over the next 12 months, which rose 8 percentage points after a drop in June, and the net share of consumers who expect mortgage interest rates to go down over the next 12 months, which rose 5 percentage points. The preliminary August Money Anxiety Index stands at 59.8. This is the same level it was prior to the beginning of the Great Recession in November of 2007. The Great Recession was officially declared a month later in December 2007, when the Money Anxiety Index started climbing up and back down. Construction spending was at a seasonally adjusted annual rate of $1,133.5 billion ($1.13 trillion) in June 2016. 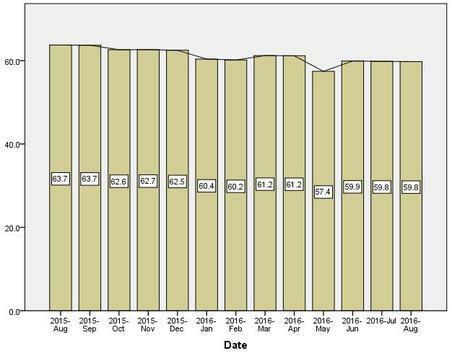 This is 0.3 percent above the June 2015 estimate (1,130.5 billion). Over the first six months of the year, construction spending has been 6.2 percent above the same period in 2015. Delinquencies were down 10 percent year-over-year in June. 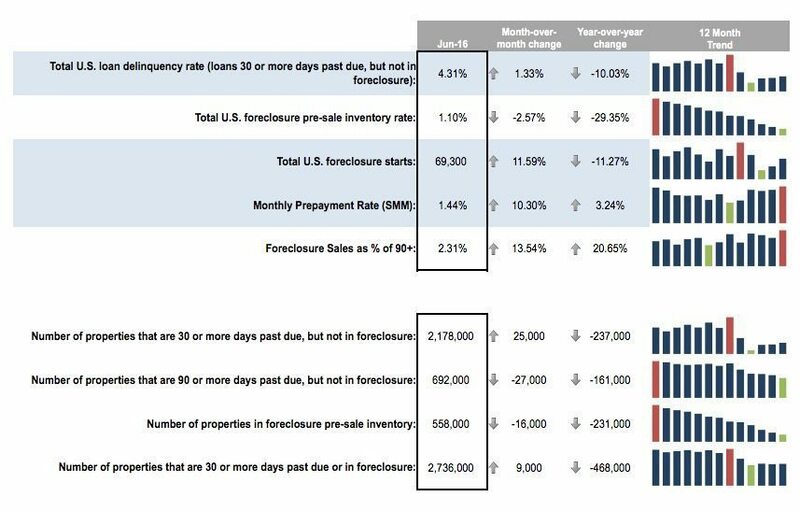 Foreclosure starts rose by nearly 12 percent from May. However, even with this monthly increase, Q2 overall saw historically low levels of foreclosure starts.